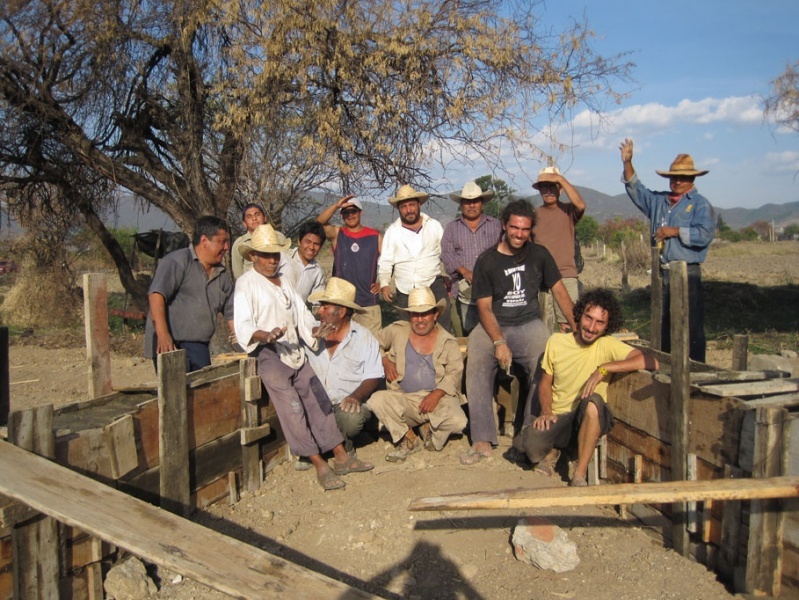 San Isidro Chapel was built together by the local agricultural workers and the architects. It's the place for local farmers to perform their prayer for rain and abundant harvest. 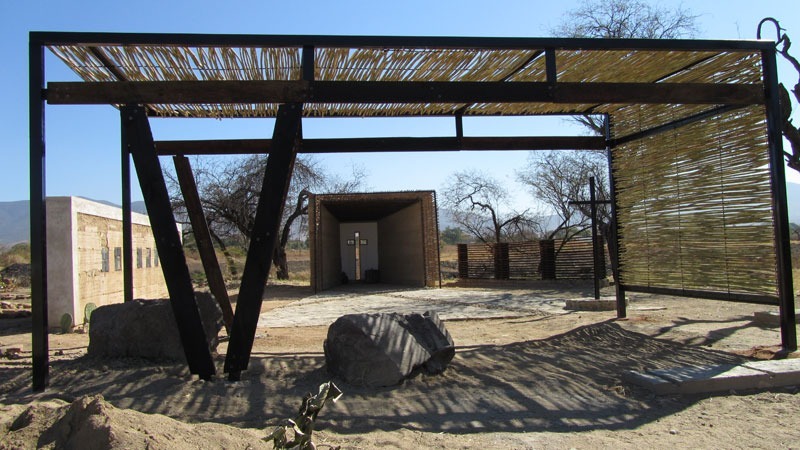 During the meetings between the different parties involved, the idea was raised to incorporate the chapel in a paved plaza, so that the whole complex could work as a place of contemplation, reflection, gathering and celebration on the day of Saint Isidro on May 15th. 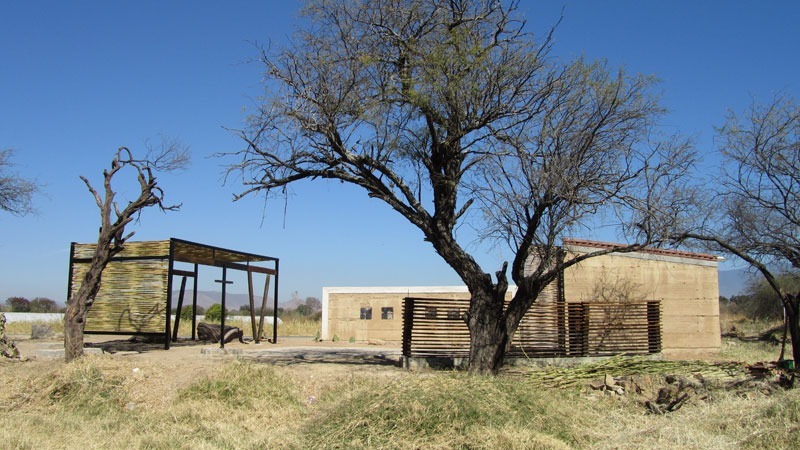 The project area is located in the municipality of San Bartolo Coyotepec along the road to Zaachila, a few hundred meters from the town center. The building lot is Bordostrada and is surrounded by harvest fields, mostly corn. The town of San Bartolo Coyotepec is located in the central part of the State of Oaxaca, in the region of the central valley belonging to the district center, and at an altitude of 1520 m.
It can be deduced from archaeological findings that this area was a Zapotec settlement (pre-hispanic period) since ancient times. Before Zapotec it was called Zaapeche, which means “place of many jaguars”, and after the first Spanish expedition to Oaxaca in 1521, it was named San Jacinto Leontepec. Later it was changed to its present name, San Bartolomé Coyotepec. The chapel and the north wall (which bounds the square) are built with Taipa brick (gravel) of 40 cm thick, absent on a concrete base and river stone, which does not use armor iron. 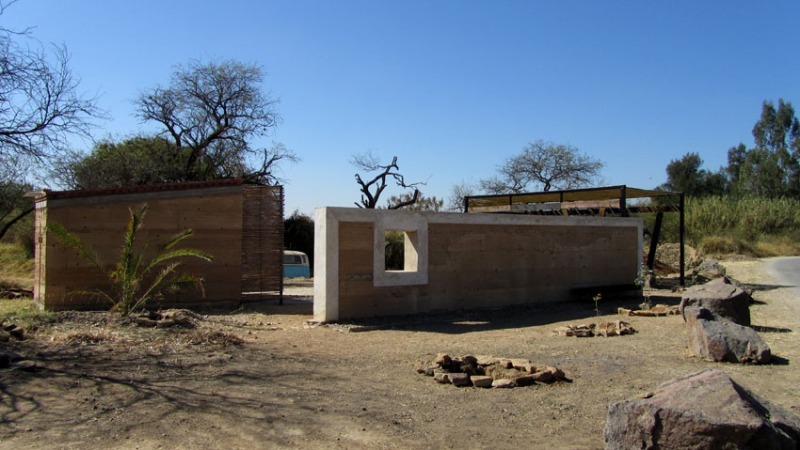 The north wall is framed by a lime plaster and cement, which protects the upper clay from the weather. This vertical element of protection from the road performs the function of a support element to a mural composed of seven reliefs in black clay, made by master craftsman family of San Bartolo glyphs depicting the Zapotec communities that once occupied this territory. The south wall is constituted by a series of wooden planks nailed together and fixed at the ends to the concrete base ribbed with iron bars ¼" protruding vertically falling 2m. The length of the elements was calculated to optimize the use of the material in its standard sizes that are available on the market (2.5 m long). Used motor oil was used to protect the wood from environmental degradation (fungi, insects xylophages, precipitation) and increase durability. 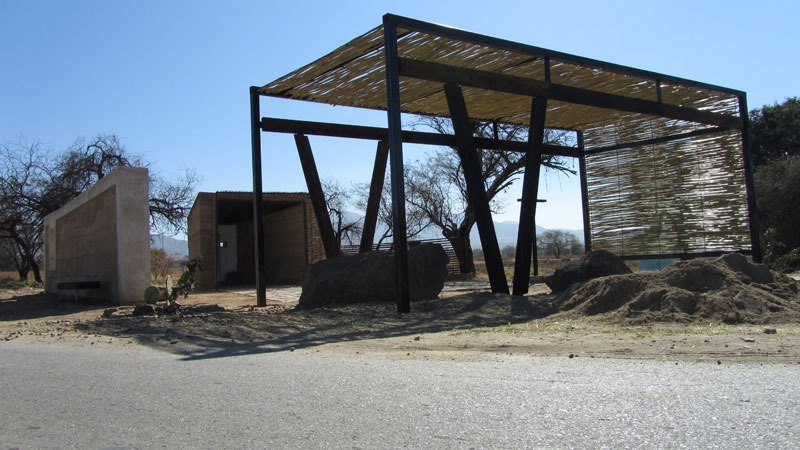 The project site is located in an area with dry climate for most of the year, except for one rainy season lasting about four months (June to September), when rainfall reaches 170 mm in the wettest month and 760 mm 's year. Temperatures throughout the year vary between 34 º and 11 º C, with prevailing wind coming from the north - east.